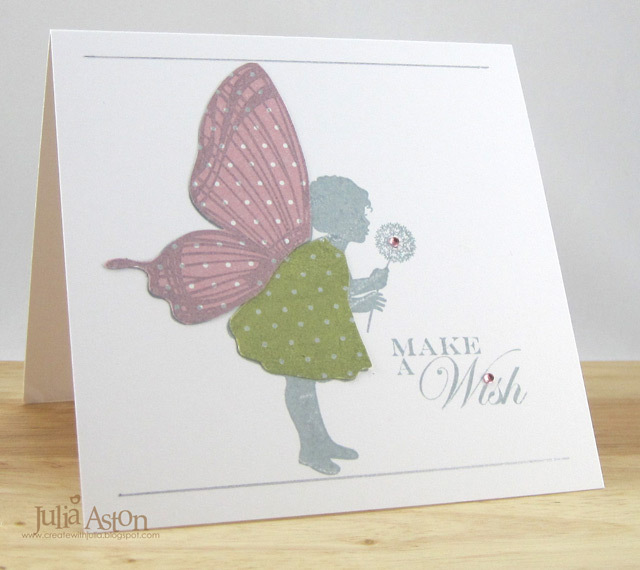 Waltzingmouse Feb Release Day - Design Team Blog Waltz! 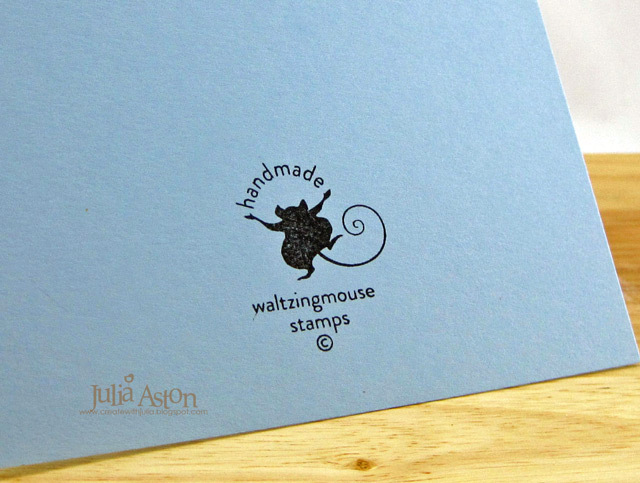 WELCOME to the Waltzingmouse February Release Day! When we also have our Design Team Blog Waltz! 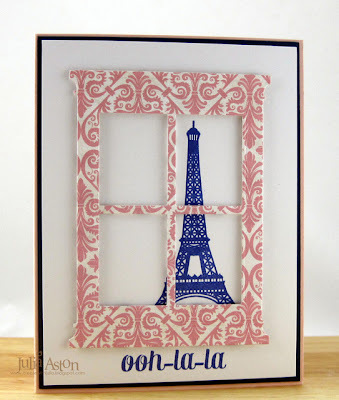 We are showing sneak peeks of the final two sets in the release - Paris Nouveau and Labels 25 (yes - the stamps fit the new Labels 25 Nestabilities!). 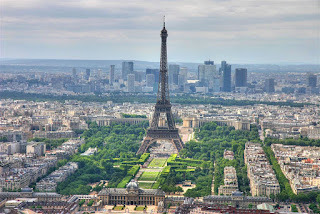 If you came here from Sandie's blog you are in the right place! 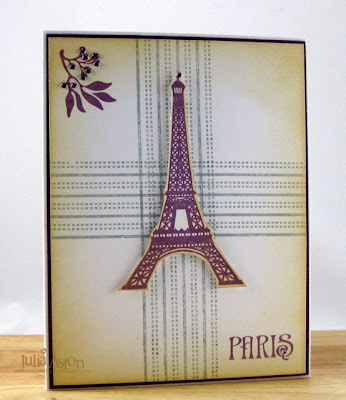 For my first card I used the wonderful Eiffel Tower from Paris Nouveau. 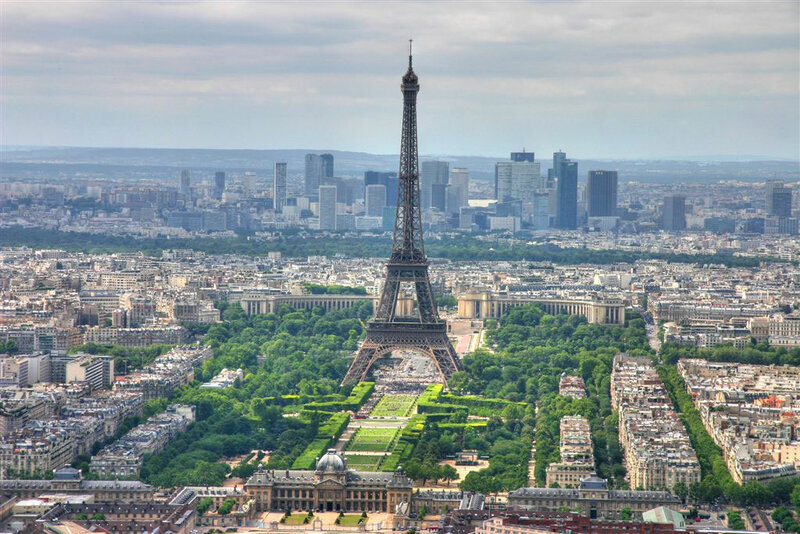 I can just imagine living near the tower and having this beautiful view from my window! It certainly would be 'ohh-la-la'!! 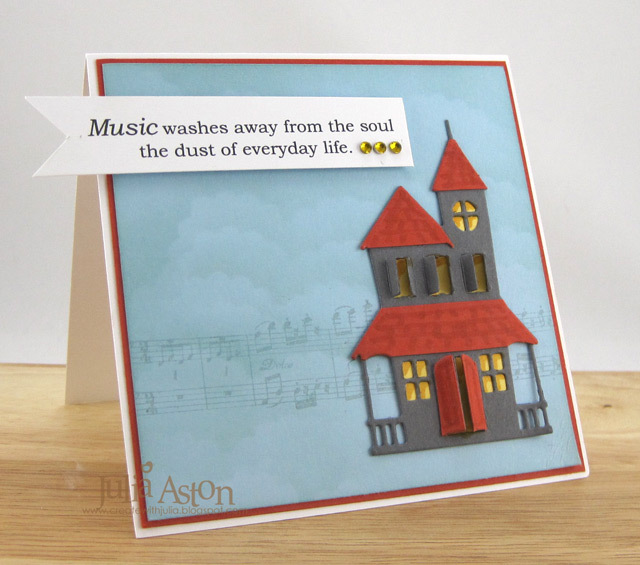 - this sentiment is from the Compact Sentiments set. I love to read ( REAL paper books although I do have a Kindle Fire!) 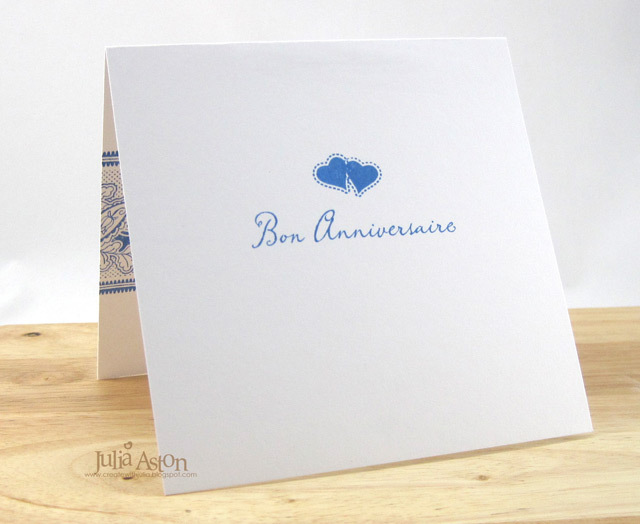 so I was happy to see this "from the library of'' stamp in the Paris Nouveau set! A reader can never have enough book marks! 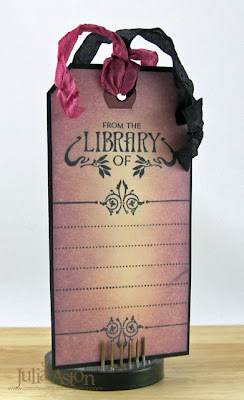 I paired it with the journaling stamp from last years set - Victorian Frippery stamping them both on a shipping tag and sponging the edges with 3 shades of purple Distress Inks. I could write my name on one of the lines, write notes about a particular book, include it in a book I lend to someone so they remember who to return it to! I layered it to a black panel and looped two colors of wrinkled seam tape through the hole at the top. 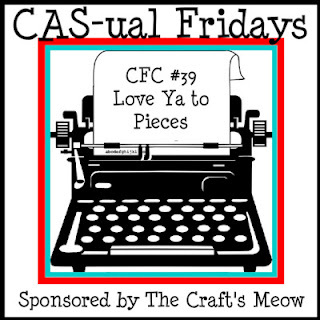 I kept it CAS to fit neatly between the book pages. 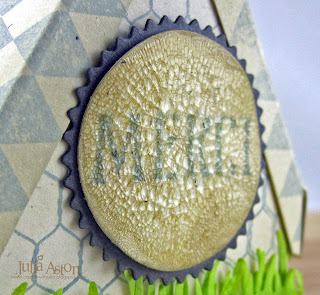 I silver embossed this fun stamp from the Make Your Mark set on the back! 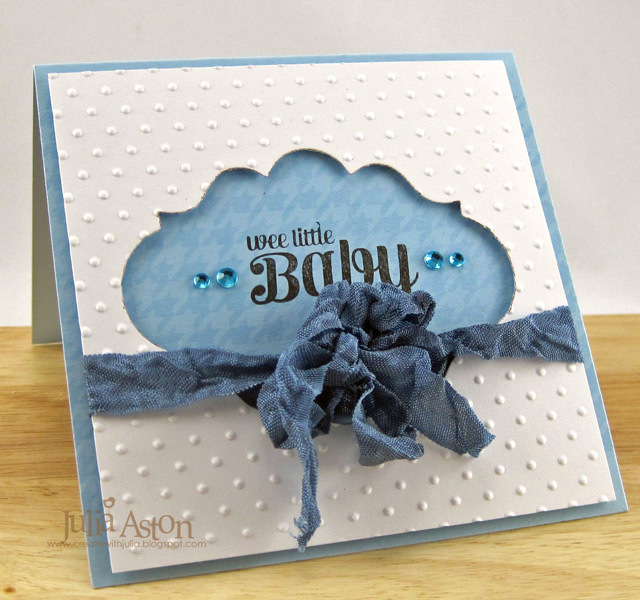 And here's my final card for the new release - using the larger bold herringbone stamp from Heirloom Patterns, one of the label stamps from Vintage Labels 25 and a sentiment from Compact Sentiments! I love how the orange and blue make this look so bold and sassy! 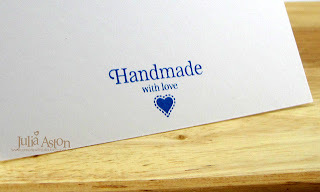 Ok - that's it from me - Phew - what a lot of stamping I've been doing the past 4 days! Next on the Blog Waltz is Laurie who I'm sure has a wonderful creation to inspire you! 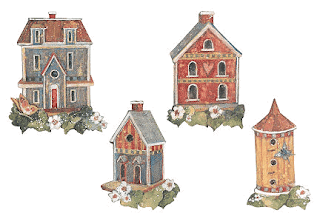 AND - you are now free to shop the new release at the Waltzingmouse Web Store! 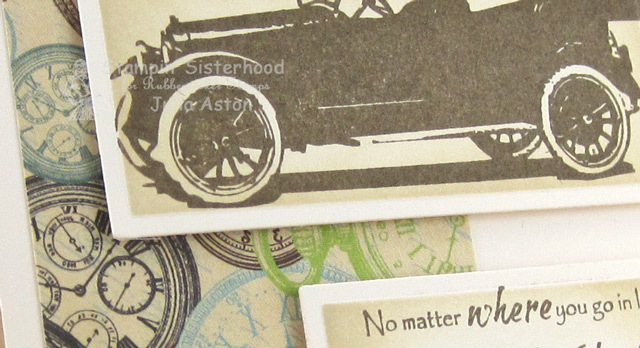 Ink: Memento Tuxedo Black, Ranger Distress Victorian Velvet, Milled Lavender, Dusty Concord, Versmark Watermark ink. Accessories: Crop a dile, wrinkled seam tape - Prairie Bird Boutique Etsy Shop, blending tool & non stick craft mat - Ranger, cilver embossing powder, hot gun. Stamps: Waltzingmouse - Vintage Labels 25, Heirloom Patterns, Compact Sentiments. 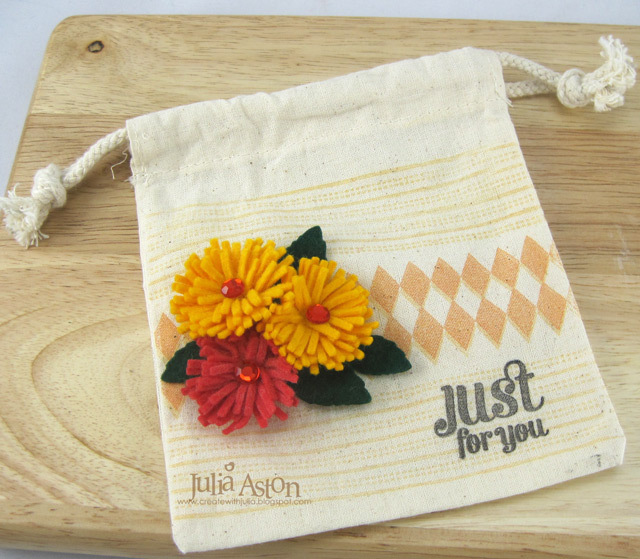 If you're looking for my WMS Sneak Peek Day #3 please scroll down just a tad to the post below - Thank you! 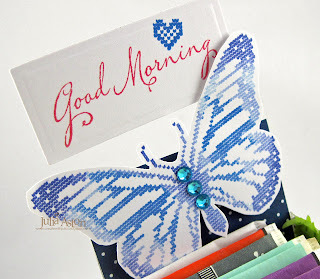 Today's my day for posting at the Stampin' Sisterhood Tuesday's with the Team. 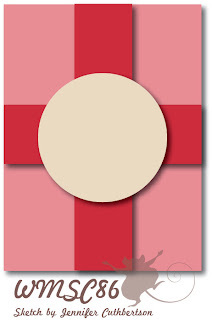 I'd really appreciate your dropping over there to see my card! 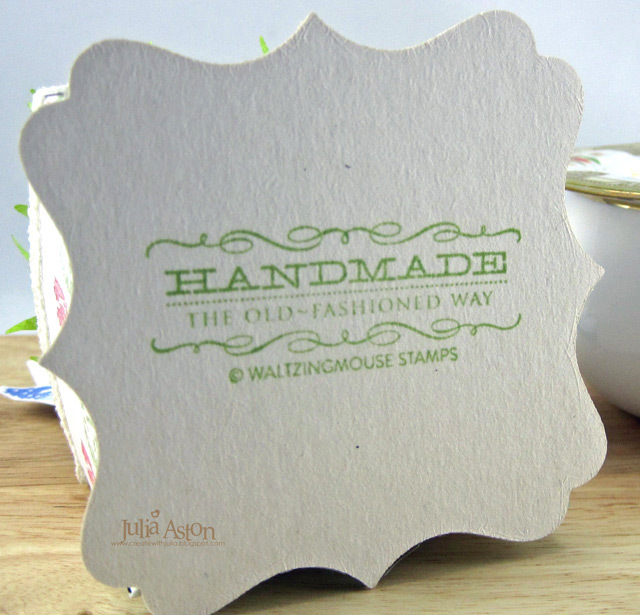 Welcome to Day #2 of the Waltzingmouse February Release Sneak Peeks - Did you enjoy all of the Design Team's offerings yesterday as much as me? And thank you for all the lovely comments you left here! Today we are using stamps from Nordic Spring (remember the Nordic Winter set?!) and Florentine Frippery. I used Claire's new Angle Top Label Box (another freebie at the WMS shop!) for my tea bag box - but I left off the cover - making mine an open container. I left the back piece on so it extended above the box as a backing for my butterfly. The Good Morning Sentiment is from yesterday's French Country Set. 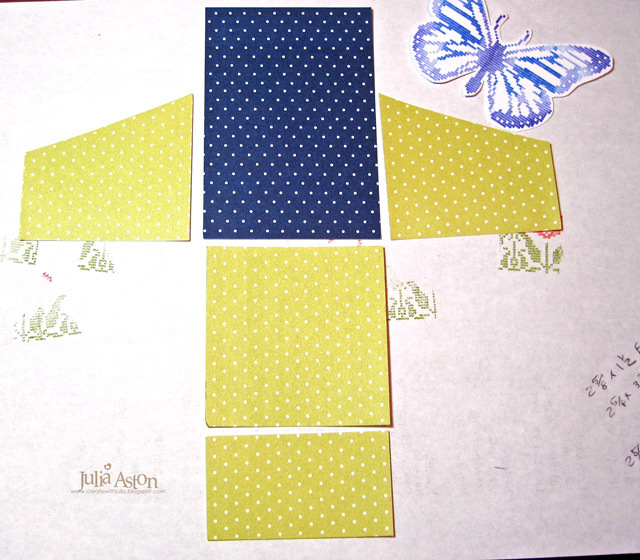 I die cut it with a Mega Rectangles Nestabilities and adhered it to one wing of the butterfly with foam tape. 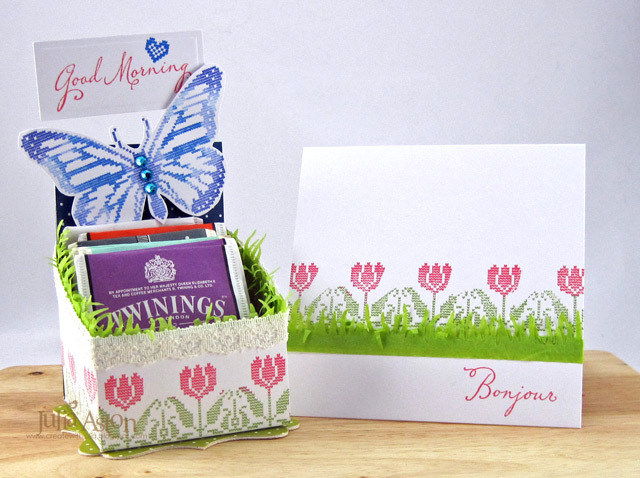 The butterfly, little heart and row of tulips are from Nordic Spring. and here's the set together! 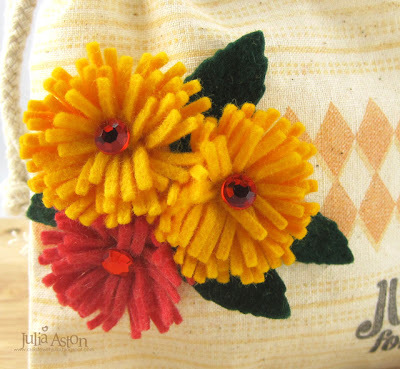 The 2nd set being sneak peeked today is Florentine Frippery. I made a thank you card using a label stamp, one of the sentiment stamps and a strip background stamp from this beautifully decorative set. I stamped the label which fits the new Spellbinders Labels 25 - but since I don't have these I just cut it out with my trusty scissors! After stamping the background on white and layering it to a black panel, I tied the wrinkled seam tape around the panels and then adhered the label over the ribbon with foam tape. All the edges are sponged with Antique Linen ink. 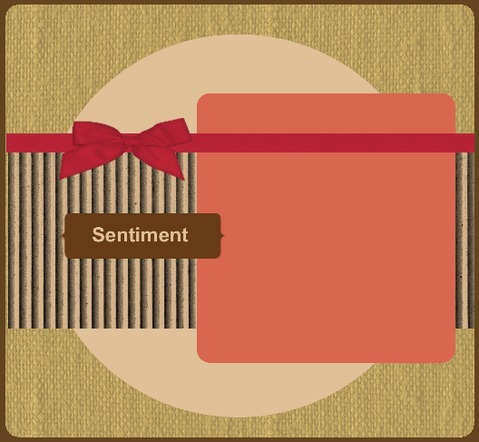 I love the old fashioned formal wording of the sentiments in this set! 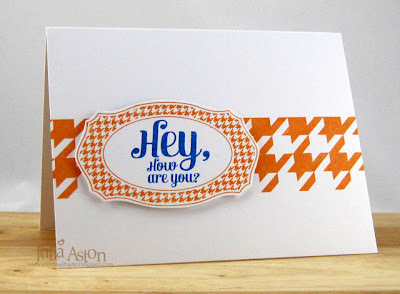 So off we go to check out the wonderful creations the rest of the WMS Design Team has created for today's Sneak Peeks! Hope you can come by again tomorrow for Day #3! 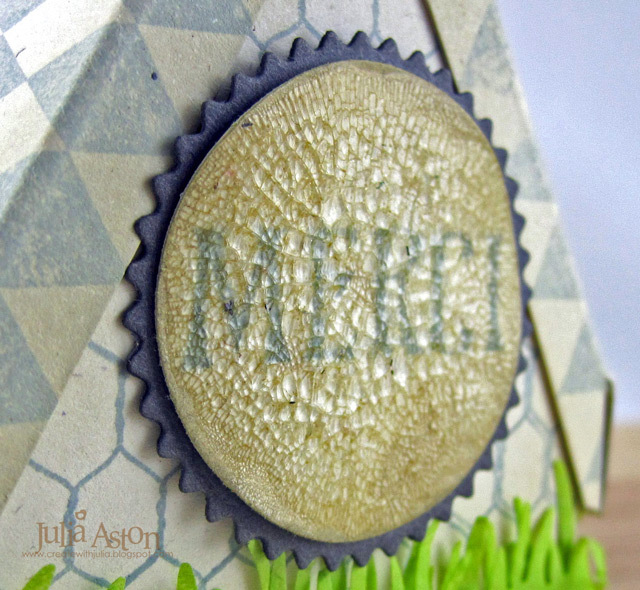 Accessories: Lace - from my stash, Labels 16 and Mega Rectangles -Nestabilities, grass die - MFT, Angle Top Label Box template - freebie from Waltzingmouse, ScorTape. 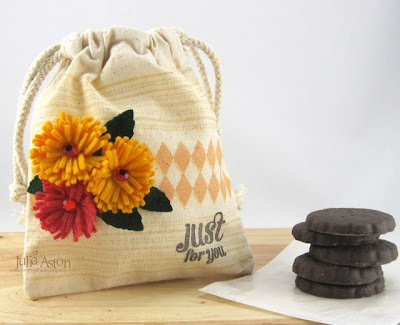 Accessories: black pearls - Amuse, wrinkled seam tape - Prairie Bird Boutique Etsy Shop, foam tape. 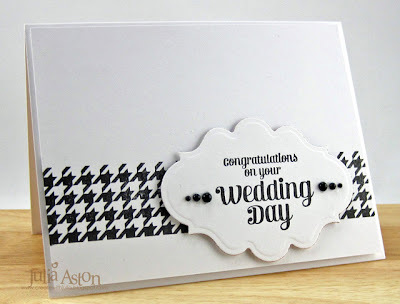 If you are looking for my WMS Sneak Peek Day 1 posting - please scroll down! 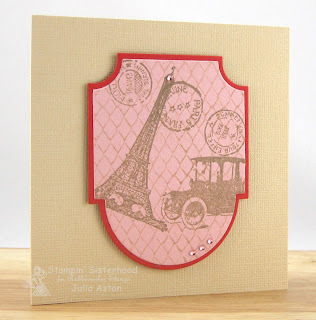 It's Sunday and time for the Stampin' Sisterhood Sunday Challenge! This week we have a sketch to inspire us. This is Hannah - a sweet vintage image. 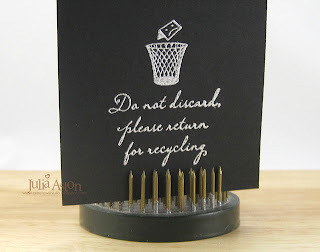 I stamped the image with Archival Coffee ink and colored a little bit of it with Copics. 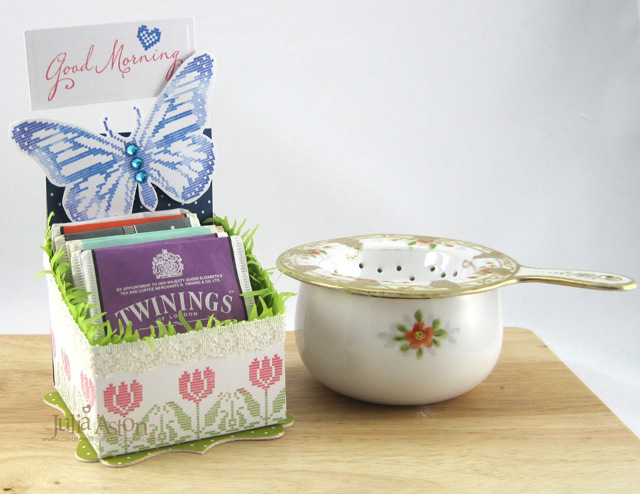 The patterned papers are Webster's Pages. I die cut the circle with a Floral Doily Motif Nestability and tied wrinkled seam tape in a double bow around the panels. Please check out the Stampin' Sisterhood Blog for all the details and to link up your creation using the sketch. 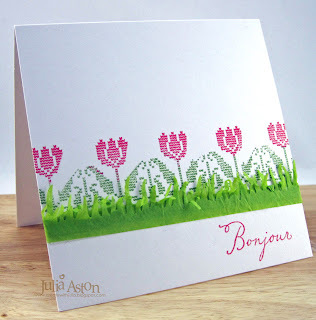 You may win some Rubbernecker Stamps! 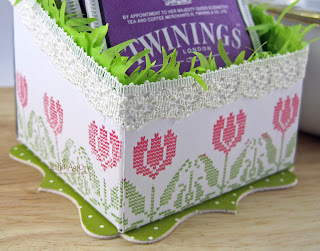 Accessories: Foam tape, Copics - R20, YG63, Floral Doily Motif Nestabilities, wrinkled seam tape - Prairie Bird Boutique Etsy Shop. 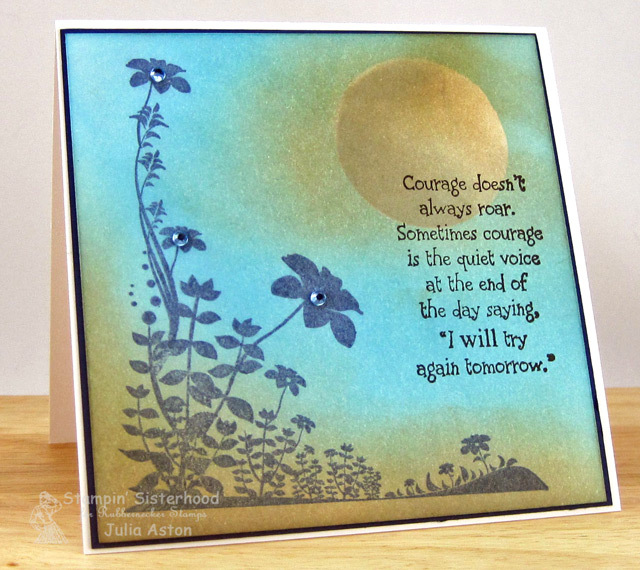 Welcome to Day 1 of the Waltzingmouse February Release Sneak Peeks! Claire is releasing 9 exciting sets on Wed, Feb 29th. Today the Design Team is highlighting French Country, Chicken Wire and Make Your Mark. I added some grass cut with a die out of tissue paper - first adhering one layer and then adding a second layer using a strip of foam tape to give the grass depth! 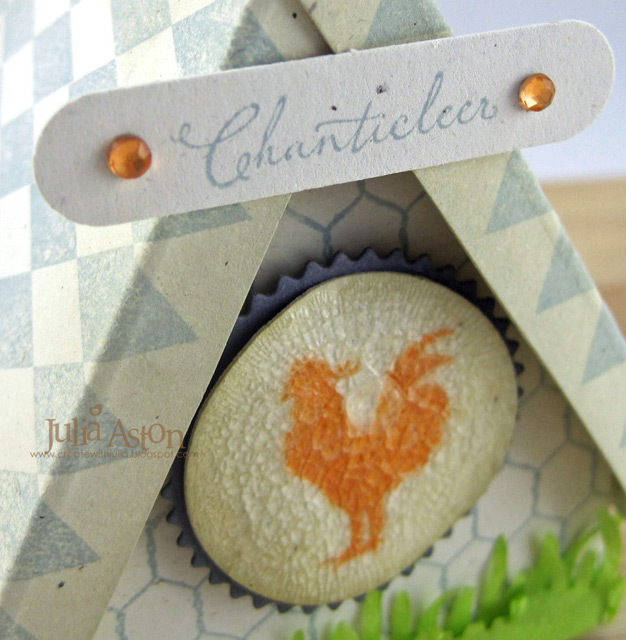 Here's the back of my little rooster roost - I cheated once again - using a stamp (Merci) from the Paris Nouveau set that we will be sneak peeking on Wednesday. 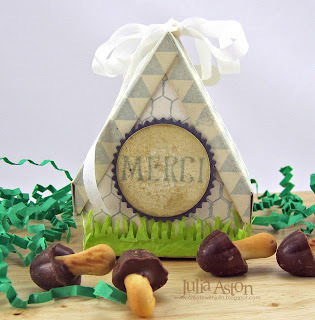 These sweet little mushrooms are made by Meiji and they are called Chocorooms - the stem is a little cracker and the top is chocolate - and they are YUM!! I buy them at a local discount shop called Five Below (everything's less than $5) They cost $1.99 for a box of 30. Aren't they just SO cute?! and my Merci (thank you - en Francais) on the back. After the crackle paint dried - I sponged over it with Antique Linen to accent the cracks. 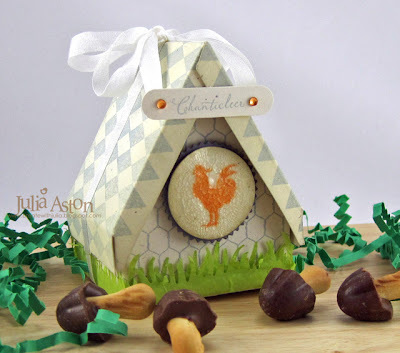 I didn't seal up the bottom so my little roost could be opened - That's also why I tied the narrow silk ribbon around the house - just to be sure the treats inside didn't fall out accidentally! 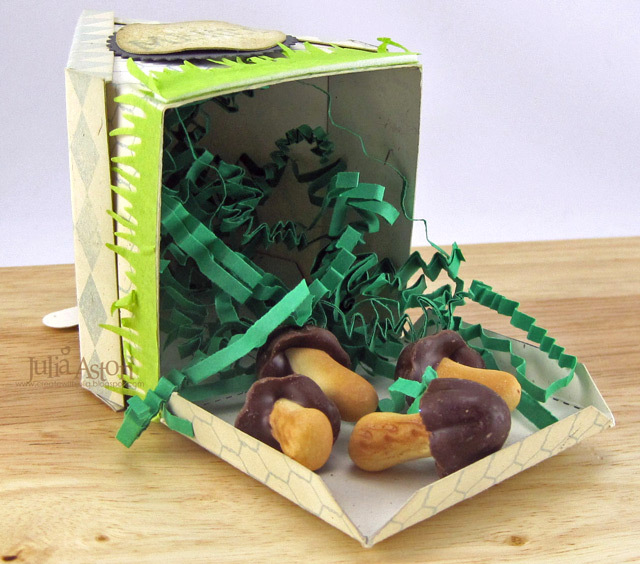 Here is the roost opened up to reveal the treats! 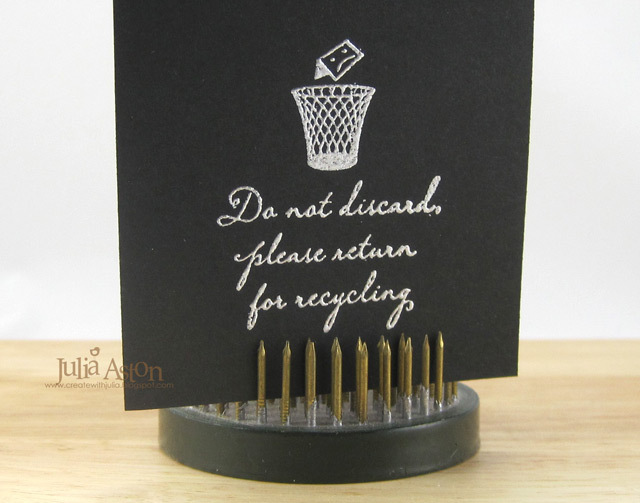 And here is the bottom closed up - where you will see just one of the cute stamps in the Make Your Mark set. I'm SO excited to finally have the sweet little Waltzingmouse Mascot on a stamp (even if he is attached to a signature box)! 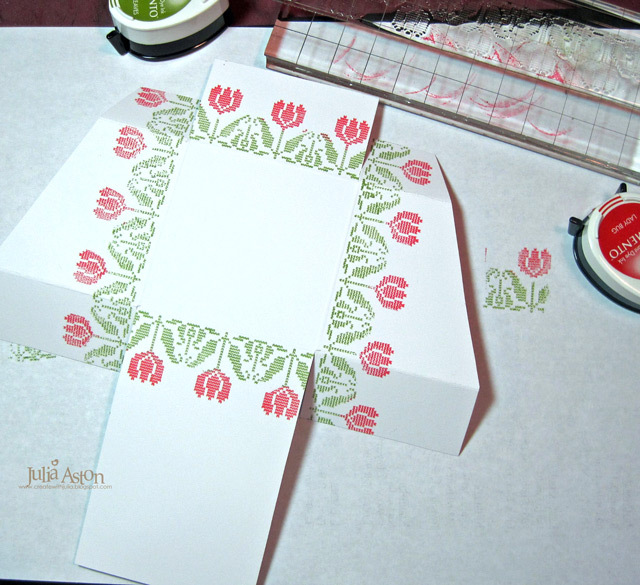 I'm thinking I'll mask the rest of the stamp and stamp this little guy by himself on a card sometime! So there you go - my little Chanticleer Roost treat box! 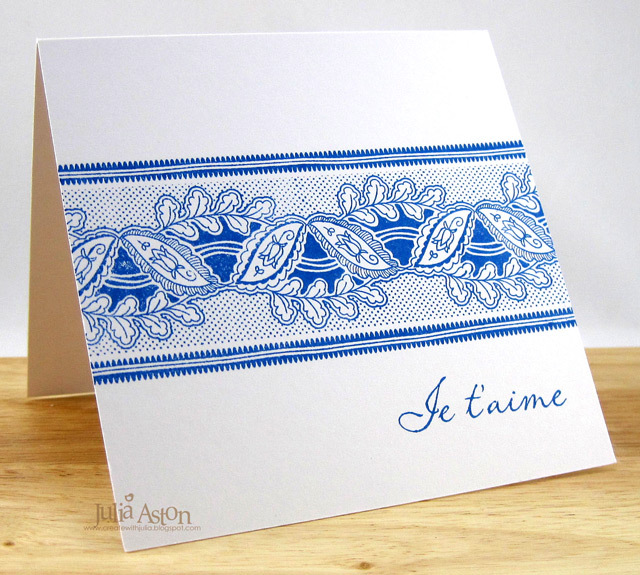 And I just had to make a card with this beautiful lacy border stamp French Country. I used Blue Danube Ink on the white card - typical French Country colors! 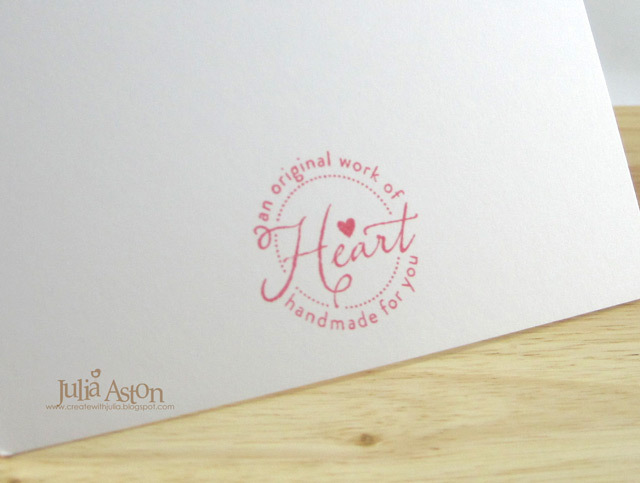 Can you see all the wonderful detail on this lovely stamp?! And here's what I stamped on the back of my card - another stamp from Make Your Mark - notice the heart is on this stamp as well as being a stamp by itself in this set. Sorry I kept you so long with all my photos! 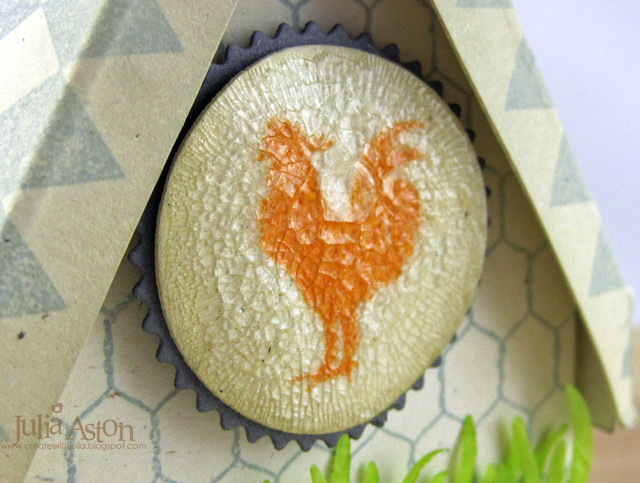 Now let's all go check out the wonderful work of the rest of the Design Team using the Sneak Peek sets - French Country, Chicken Wire and Make Your Mark! Hey there Sister Friends!! What's new? 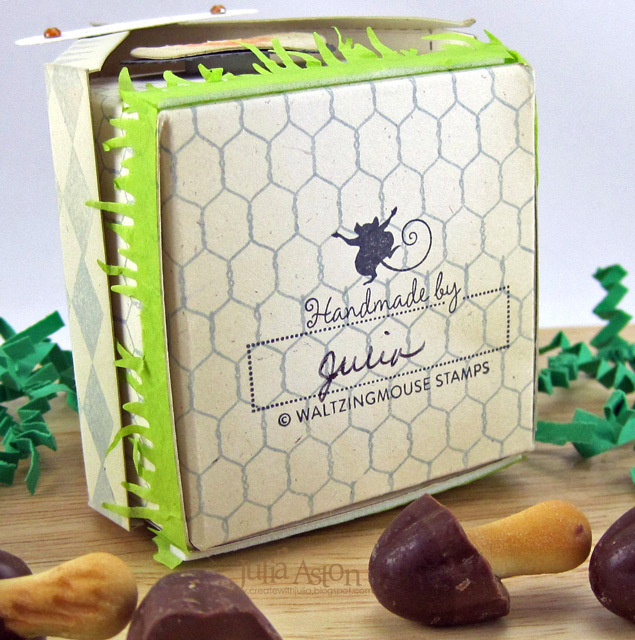 SO glad you could join the Stampin' Sisterhood for our Springtime HOP!! As always, we are SO excited to share with you! 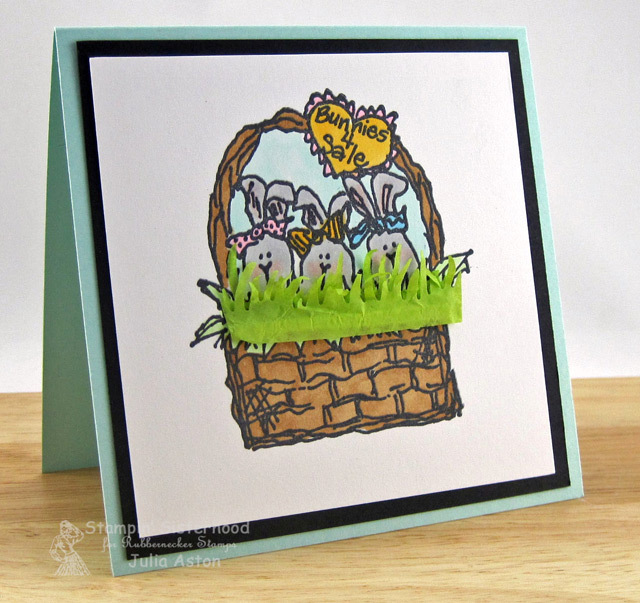 Rubbernecker Stamps has a wide variety of stamps for your Spring and Easter projects! The Stampin’ Sisterhood has put together some AWESOME creations to share some of these images with you! I have a HOP ROUTE for you to follow and you can find it at EACH stop along the way, so you will not get lost! The ROUTE is at the bottom of this post. OK, in true HOP fashion, you will want to leave a little LOVE everywhere you visit! We want you to have a chance to win a PRIZE! So you all have plenty of time to HOP!! AWESOME, right? Well then, off you go, there is LOTS to see!! Hope you will join us in MARCH, for our NEXT HOP!! We cannot wait to do some MORE sharing and prize giving!! 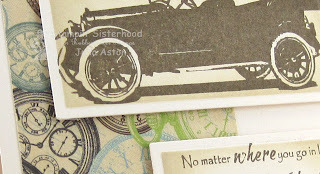 Until then, be sure to check out the daily posts on the STAMPIN’ SISTERHOOD blog!! There is LOTS of inspiration to be found! Thanks again for joining us today and ENJOY!! In keeping with my favored style - my card is very CLEAN AND SIMPLE! I stamped this cute bunny basket (Bunnies for Sale #14-01) on white card stock and colored it with Copics. 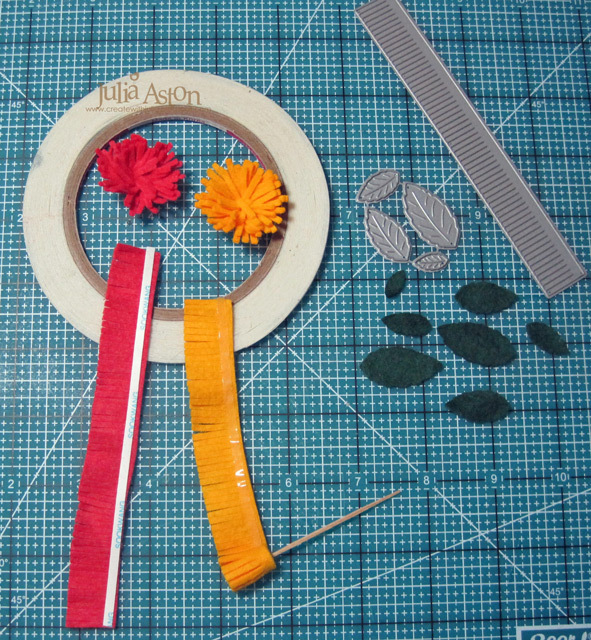 To add a little interest and dimension - I die cut some grass from tissue paper and layered it over the rim of the basket. I added a second layer over the first using foam tape to give the grass some depth. Now off we all go to see each of the ladies below for some wonderful Easter/Spring inspiration! 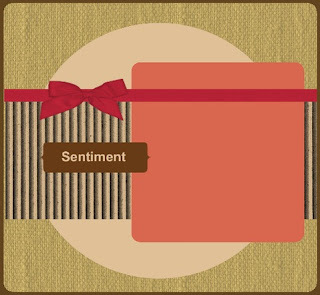 Remember to leave a comment at each post to increase your chance of winning! 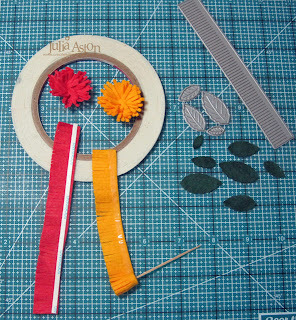 Accessories: foam tape, Copics - R20, RV02, N2, E35, BG10, YG11, B02, Y35, grass die - MFT. 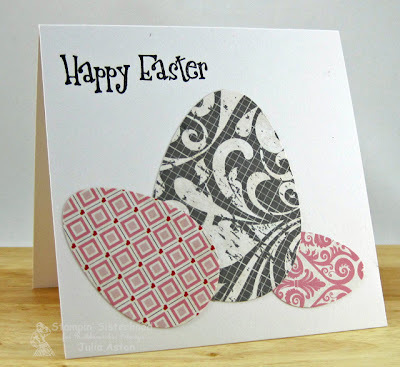 I die cut my eggs with Nested Eggs Nestabilities out of Echo Park patterned papers and adhered them randomly to my card base. Then I just stamped the Happy Easter from Rubbernecker above the eggs. Clean and Simple! I'm home sick today with a really bad cough that came out of nowhere overnight. I actually slept until noontime today which is unheard of for this usual early riser! I hope you'll join me tomorrow for the Stampin' Sisterhood Rubbernecker Easter/Spring Blog Hop. 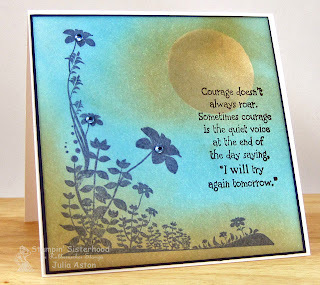 2) Day #1 of the Waltzingmouse February Release Sneak Peeks! I've got something really CUTE to show you!! You won't want to miss it!! Hey friends! Today I'm participating in the Waltzingmouse Blog Party - held the 17th of each month. 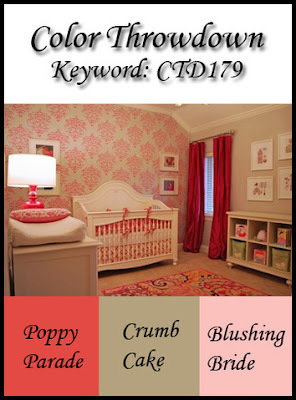 This month's theme is Looking Forward to Spring. Flowers are definitely a harbinger of spring so that's what I used on my card today - cutting them out of bright colors of card stock and layering them over a black and white dotted background to make them POP! 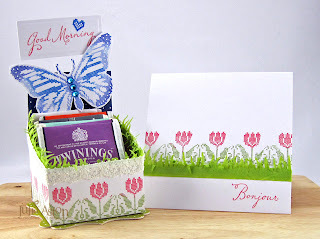 My colorful roses are from the Roses in Bloom set and the spring sentiment is from Spring Baskets. 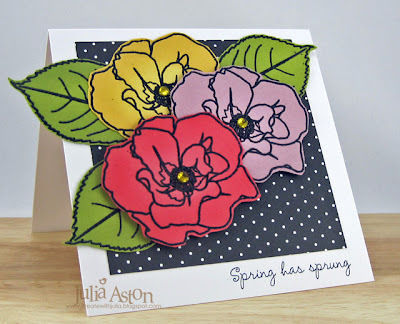 I embossed the roses and leaves in black, cut them out and sponged the edges in coordinating colors of distress inks to deepen the colors a bit. I popped up two of the roses on foam tape and added rhinestones to the centers. 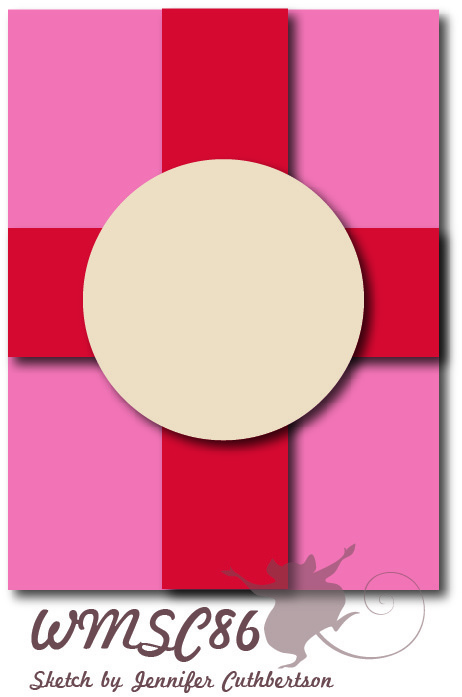 My card is 4 1/4" x 4 1/4" so it will still fit in an A2 envelope even with the leaves sticking out over the edge of the card! 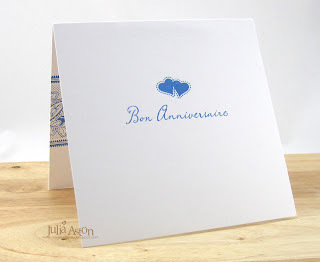 We hope you are joining us at the WMS Blog Party this month!! And don't forget - 3 days of sneak peeks of the February WMS release start on Sunday 2/26 with the release on Wed 2/29! Ink: Memento Tuxedo Black, Ranger Distress - Worn Lipstick, Milled Lavender, Scattered Straw, Bundled Sage, Versamark Watermark. 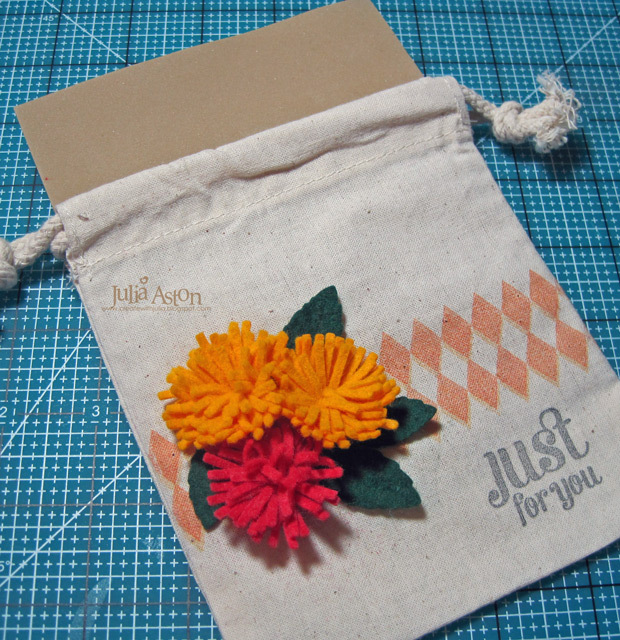 Accessories: black embossing powder, hot gun, foam tape, rhinestones - Kaiser.